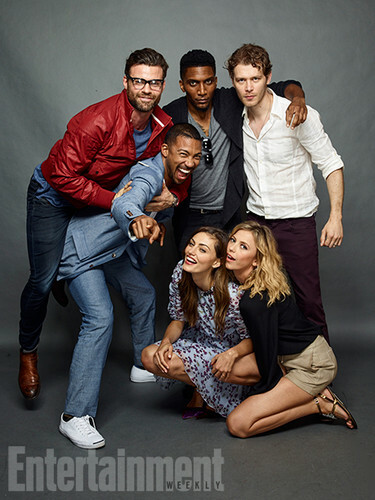 The Originals Cast at San Diego Comic COn 2016. . Wallpaper and background images in the दि ओरिजिनल्स club tagged: photo the originals san diego comic con 2016 daniel gillies charles michael davis yusuf gatewood joseph morgan phoebe tonkin riley voelkel. This दि ओरिजिनल्स photo might contain बिजनेस सूट, अच्छी तरह से तैयार व्यक्ति, सूट, पैंट सूट, pantsuit, पैंट्सट, अच्छी तरह से कपड़े पहने व्यक्ति, लंबी पतलून, लंबे पैंट, लंबे पतलून, and लंबी पैंट.